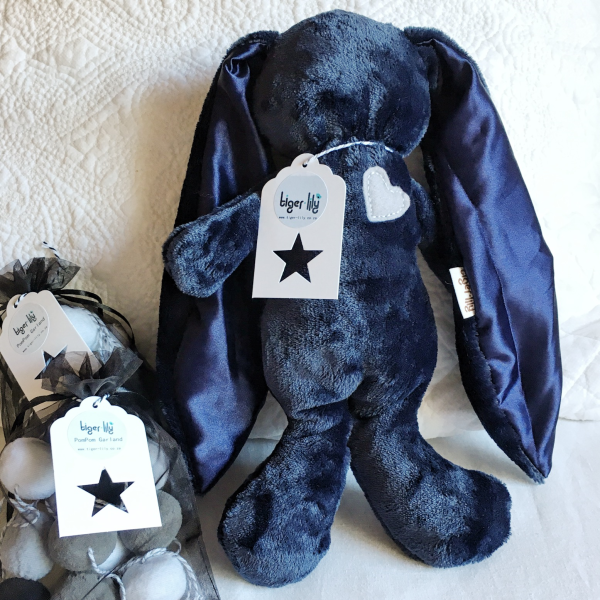 We are so excited to introduce the Tiger Lily Cuddle Bunny! Made from super soft and cuddly flannel fleece with satin ears, this little guy makes the perfect sleep-companion. He comes in Black, Navy and White (either white or grey ears). Please go to our online shop if you'd like to purchase a Cuddle Bunny.